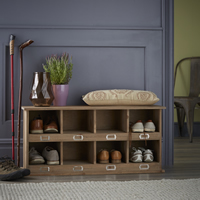 New to our range of contemporary hallway storage furniture is this shoe storage cupboard which can hold 15-20 pairs of shoes up to a UK size 10. 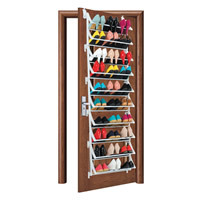 The cabinet features three height adjustable shoe shelves so can accommodate both flat and heeled shoes, and also has space at the bottom for additional shoes and boots. 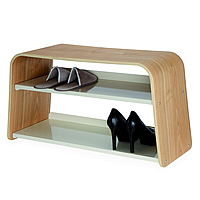 We've also included a handy accessories shelf at the top of the cabinet which is great for hats, scarves, sunglasses etc. 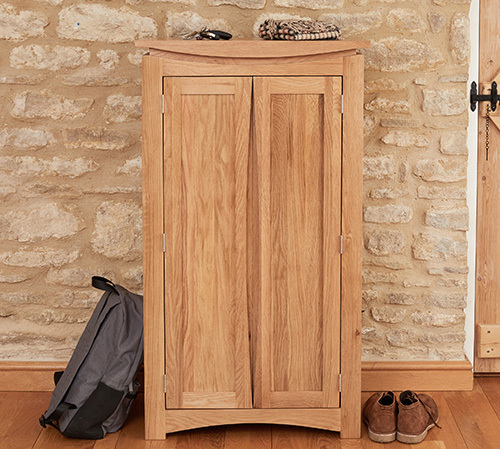 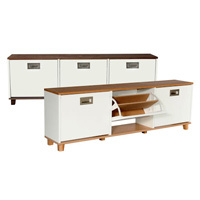 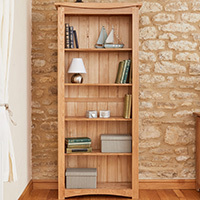 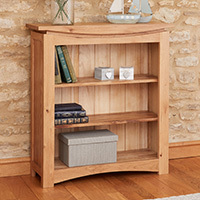 Our shoe storage cabinet has been crafted from solid oak which has been sourced from managed plantations, and is delivered ready assembled with a 5 year guarantee. 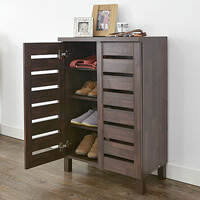 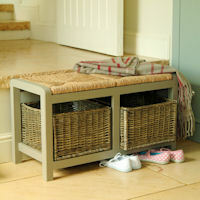 If you would like to order a shoe cupboard and live in these areas we can provide a delivery quote on 0844 414 2885.